Overwatch Backpacks by Yufan | Nerd Much? Soon, it’ll be time to put the swimsuits away and head back to school. We know — it sounds absolutely dreadful. But one thing that makes going back to school slightly more bearable is going back with a cool backpack. If you’re an Overwatch player, check out this new line of Overwatch Backpacks by Yufan. 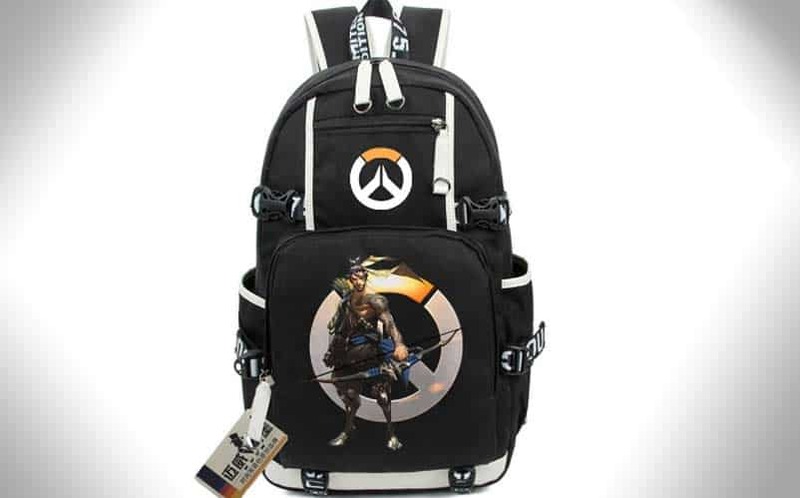 There are many different styles available, including a Hanzo style, Roadhog, a few different Reaper backpacks, and more. Each bag is 33 x 15 x 48cm, and they’re made out of canvas. Each bag has numerous front pockets and side pockets, with enough room to hold your books, gadgets, and chargers. Each bag has the game’s logo printed on the front near the top, with another bigger design on the bottom. With all of the nerdy backpacks available, it’d be hard to say that these Overwatch backpacks are a must-own. But if you’re a diehard player, and you plan on starting your back to school shopping soon, you can’t go wrong. For more cool nerd stuff and nerdy gifts to buy, stay tuned to Nerd Much.